In stock -This product will ship today if ordered within the next 12 hours and 45 minutes. Joint Complex is a complete joint care maintenance formula including - Glucosamine HCL, Boswelia, Quercetin, L-Proline, Ginger Root, Tumeric, Bromelain and Manganese. Synergistic blend of nutrients appropriate for the maintenance of healthy and mobile joints. The source of the glucosamine is Aspergillus niger, making it highly effective and also suitable for vegetarians and vegans. 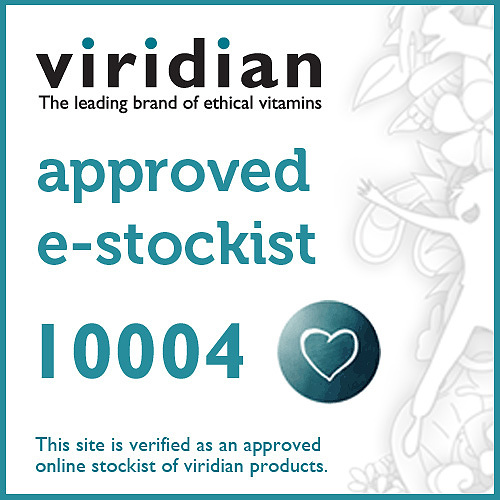 Take daily alongside Viridian’s Joint Omega Oil for the optimum in joint health nutritional support. Glucosamine is an important building block needed by the body to manufacture specialised molecules called glycosaminoglycans, found in cartilage. Once absorbed, glucosamine is taken up by the joint tissues, where it is incorporated into the connective tissue matrix of cartilage, ligaments, and tendons. 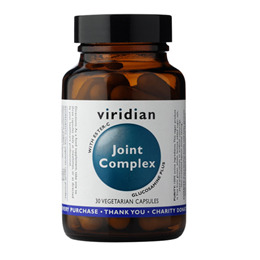 Below are reviews of Viridian Joint Complex - Glucosamine - 30 Vegicaps by bodykind customers. If you have tried this product we'd love to hear what you think so please leave a review. This is the first time I have used Bodykind. They had just what I wanted and delivered promptly.